Each pair of Razer snake gaiters comes with a FREE nylon storage bag with locking drawstring cinch cord. Great for keeping your vehicle or backpack clean if your gaiters are wet, muddy, or dirty when you take them off. 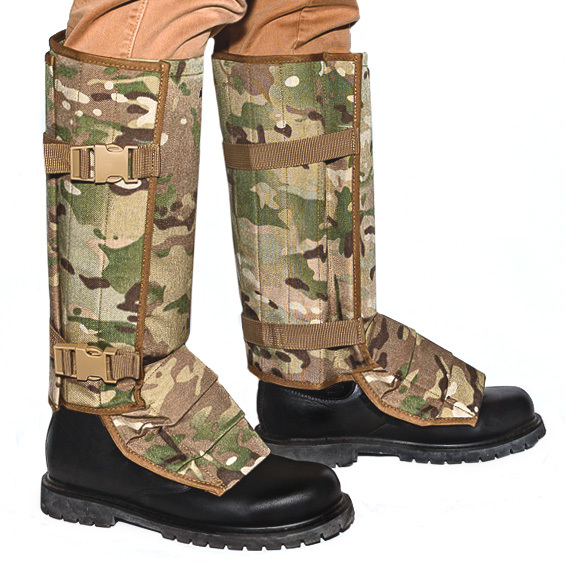 Always wear gaiters over pants and with thick boots that fangs cannot penetrate.